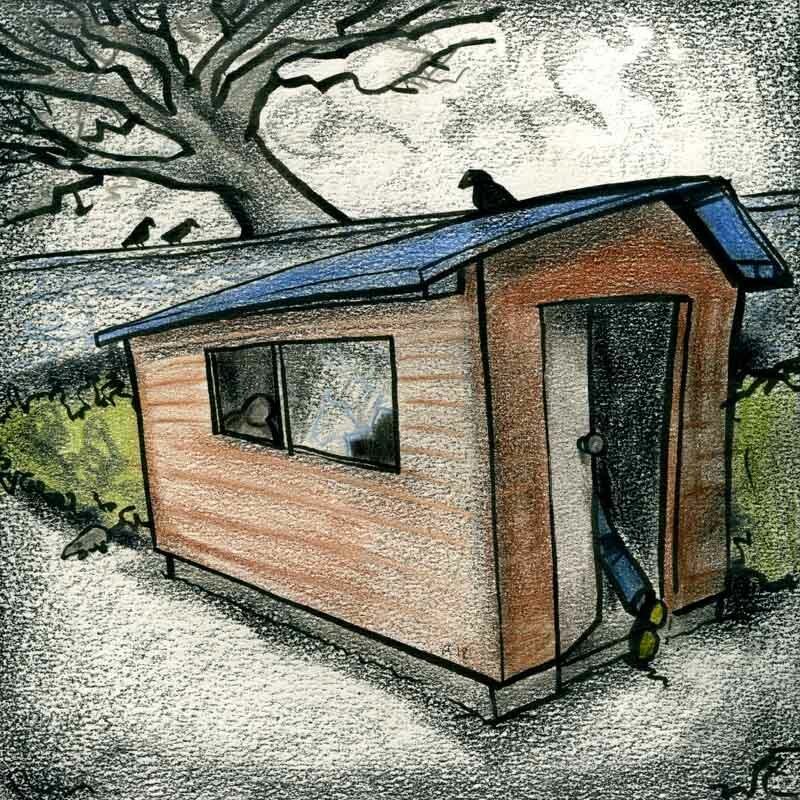 Shed cartoon: foreboding cartoon shed with broken window, tree, crows and rat. Image may be used non-commercially with a link back to my home page www.caricatures-ireland.com. For commercial use contact me below.